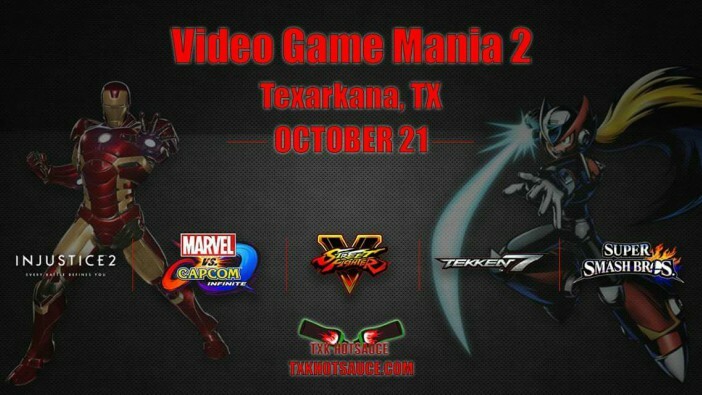 This Saturday, October 21, it is Video Game Mania 2 at the Holiday Inn and Convention Center in Texarkana Arkansas. This is the second VGM event hosted by Hypecon and Txk-Hot Sauce. This years event will also be live-streamed online. 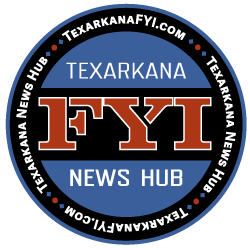 This is a fall event for the Arklatex and it will be a video game event bringing people of all ages to compete and have fun. The event will be on October 21st! 10$ entry fee with 5$ for each game you would want to enter to play for each of the 7 video game tournaments we offer out of Smash Bros 4, Smash Bros Melee, Tekken 7, Street Fighter 5, Pokemon Sun & Moon, Injustice 2, and Marvel vs Capcom infinite! We also invite local youtubers and streamers to promote their brand between each other at this fall event. Follow Txkhotsauce on twitch to get the live stream of the event! Legacy Controller Mode is banned. Only ‘’game loser’’ can switch characters. Game Settings: Tournament Mode, Default Settings, 3/5 Games. Glitches such as Ice Climbers’ Freeze Glitch and Mewtwo’s Soul Stunner are banned. Pause option is disabled in the game menu. If left on, accidental pausing mid-match forfeits a stock. You may not choose any stage you have won on during a set unless agreed by both players. A tie is determined by most stocks, and then if still tied, by percentage. If a percentage is tied, the match is fully replayed. Amiibos are banned, custom moves are NOT allowed (even Palutena). Guest Sized Mii Fighters are allowed with any moveset (no equipment). Either player may elect for a blind character pick at the beginning of the set. *Omegas are considered a Gentleman’s pick. Both players must agree to it, and they share a ban with Final Destination. Order of events for Game 1: Pick characters, then stage striking. Banning Phase (Games 2+): the previous winner bans 1 stage and the loser chooses from the list of starters or counterpicks before choosing characters. Winning player is not locked into the same character for the next match, but has to pick before loser selects character. Bans and DSR carries over in bo3 but only DSR carries over in bo5. *Palutena’s Temple Omega form is allowed as FD substitute without opponent’s agreement due to possible light flash concerns. Allowed controllers: Wii U Pro Controller (with battery removed), GameCube Controller, Wiimote, Wiimote + Nunchuck, Classic Controller, any member of the 3DS family. GamePad is not allowed.